It is important to not get caught up in the latest designs and trends because many times, these trends haven't stood the test of time yet. New state-of-the-art products or components can fail, go out of style or simply go out of production because of poor sales or poor function. Products or components that have not experienced the test of time under field conditions may result in failures that were not demonstrated in laboratory tests. The simplest window design that meets all of the established criteria is usually best. To obtain a more objective opinion, temper the advice and sales pitches of product representatives with recommendations from designers and users of the product. 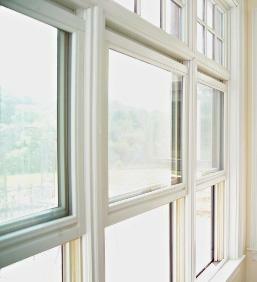 While it's easier said than done, price should not be the primary factor in selecting windows. According to FacilitiesNet, "Settling on the cheapest window product can lead to low durability, poor performance, water leakage and increased or difficult maintenance. This also holds true for the associated materials and work to provide the proper interface between the window and the wall." Exterior Specialties of PA is here to help with all of your window repair, window replacement and window installation needs. Call us today at (215) 773-9181 for your FREE estimate!